Now that your child is in grade school and too old for Dolly Parton’s Imagination Library, I have some suggestions to continue building your home library. While we want you to keep checking out the amazing books we have at the public library, having books in your home increases literacy. Our library gives you access to a wide variety of books and the newest titles. Your home library is a great place to keep family favorites that you want to read again and again. No I don’t mean you should fail to return those books, I might be waiting for them. I recommend you shop at the Chandler Booktique. They have lots of gently used books. On the 15th and the last day of the month the used books are also half off! You might even find something that was your favorite when you were younger and you can share it with your child. 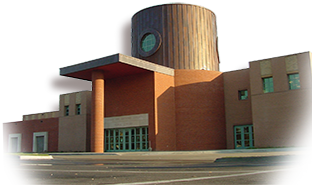 The Friends of the Library also has quarterly book and media sales held in the library. There is always a large selection of fabulous books for your collection. When summer arrives make sure to join Summer Reading. All kids who complete the summer reading challenge will get a free book. This is also a great way to set a good example for your child by signing yourself up for Summer Reading. You can set aside 20 minutes or so to read together every night – either each reading your own books or reading one book out loud. Many secondhand stores have books and Topeka still has a used bookstore. Garage sales are another great place to find used books, especially children’s books that have been outgrown. Also look in your neighborhood for a Little Free Library. Arrange a book swap among your friends, at your child’s school or at a house of worship. Not only will you gain some great books for your child’s library, but you can share some of the ones they have outgrown with other children. Lastly, remember to check out some books for yourself from the library. 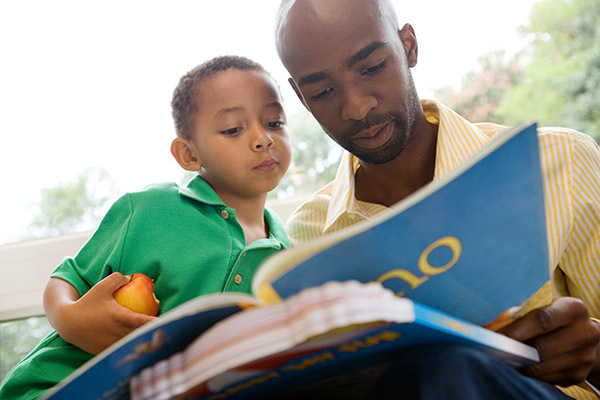 Modeling reading encourages your child and reading is a nice break in a hectic day. Posted in Books, Movies & Music, Parents & Teachers and tagged books for children, early readers, home library, used books.